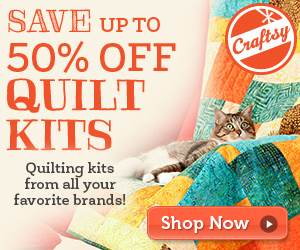 Quilting Modern – Has step by step information to create your own improvised quilts. Jacquie and Katie, offer specific techniques used in improvised quilts, color lessons, and are very encouraging of you making your own quilt as you see fit. The book includes 21 patterns, ranging from wall hangings to bed size quilts. 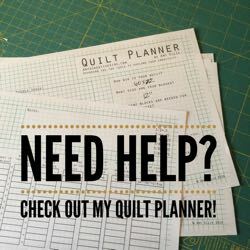 It’s a great book for the traditional quilter looking to expand their horizons with modern quilting techniques. 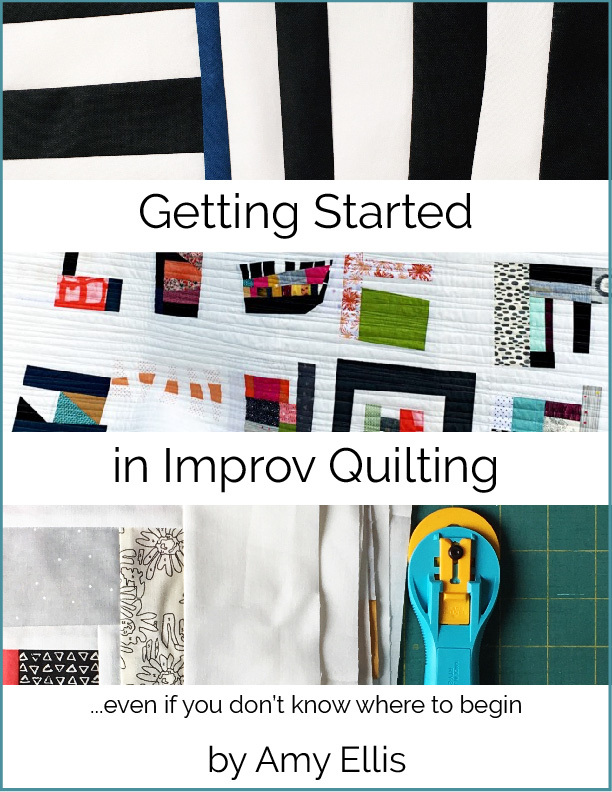 The Improv Handbook for Modern Quilters – Is chalk full of inspiration, and tools to guide you to make the quilt you envision. 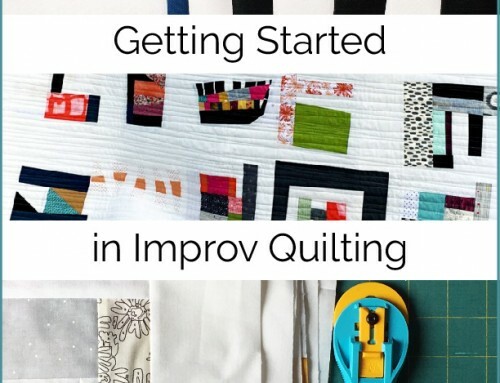 Sherri includes scores as a jumping off point to working through her process, and defines improv quilting as you work your way through the book. 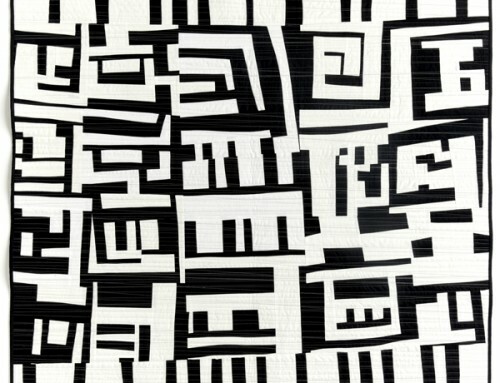 The scores are a sort of pattern for the quilter to follow, but only as far as you like. There’s also tips for developing your own score, and what you might include in your score. Also a gallery of quilts made by others in the book offers inspiration and allows you to see how the score can be freely interpreted. 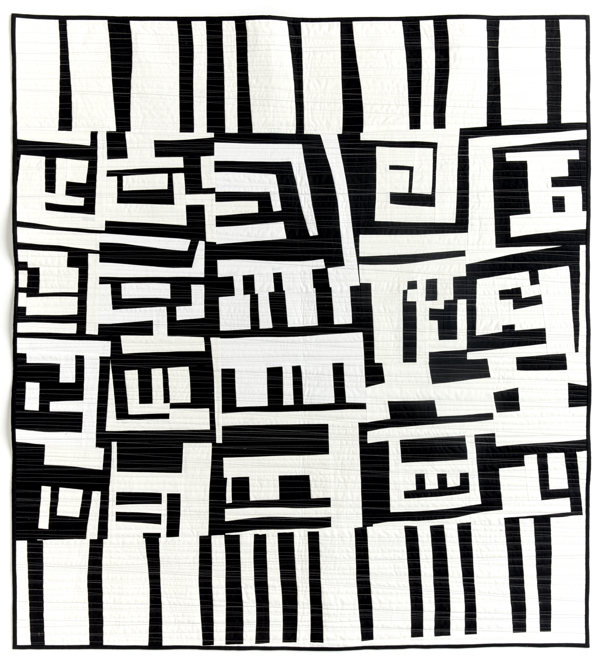 Quilting with a Modern Slant – Has a little bit of everything in it. 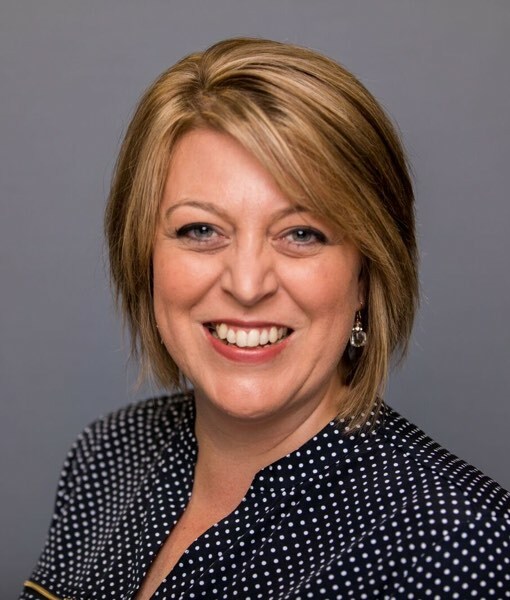 Patterns and techniques along with interviews with lots of makers in the modern quilt community. The gallery of quilts included in the book are a great source of inspiration, and fun to see with the artists interview. Do you have any recommendations for this list? I’d love to add to my collection! images on left are aff links and take you to amazon. 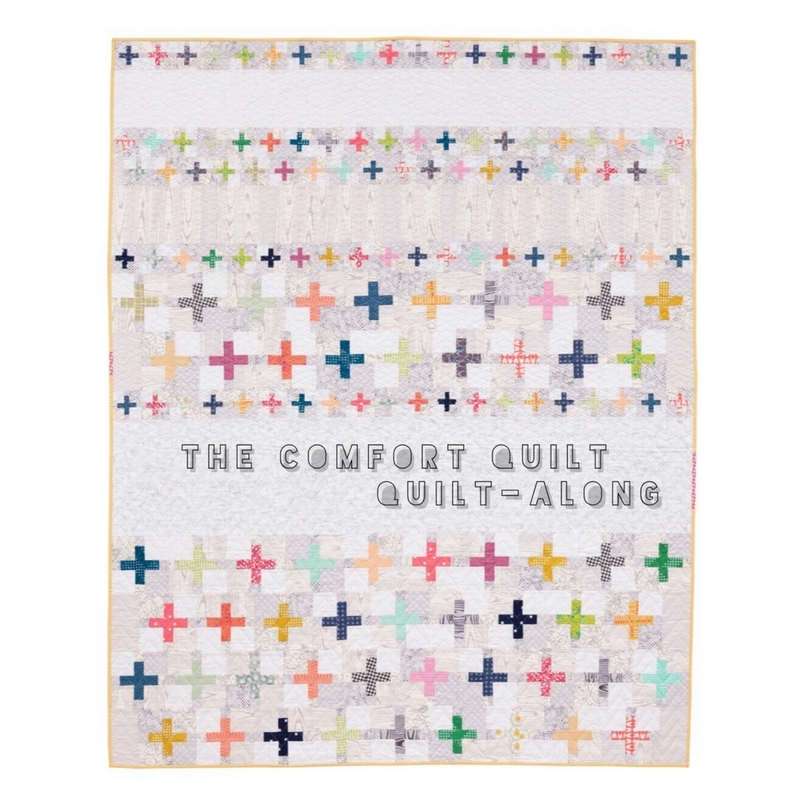 Quilting Modern has been my favorite since the day I first got it years ago! Quilt Improv by Lucie Summers is good for basic improv techniques. 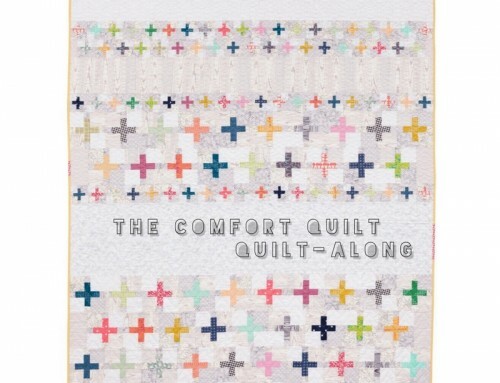 I’m also currently devouring Gwen Marston’s Liberated Quiltmaking II. Not books, but you might also check out these hashtags on Ig: #beesewcial and #inspiredbybeesewcial. I’ve found being in this bee has really stretched my improv – my beemates + those following along are doing such inspired work. Thanks Debbie! I have seen lots of the beesewcial work and always admire it – I’ll defintely have another look!